EasyCleaner is a small program which searches Windows' registry for entries that are pointing nowhere. EasyCleaner also lets you delete all kinds of unnecessary files like temps, backups etc. You can search for duplicate files and you can view some interesting info about your disk space usage! You are also able to manage startup programs, invalid shortcuts and add/remove software list. Everything Fantastic tool!. Best of best! Recommendation ! Igor Mayer radovanov ............................... Pros: Summary of the largest file on HDD. 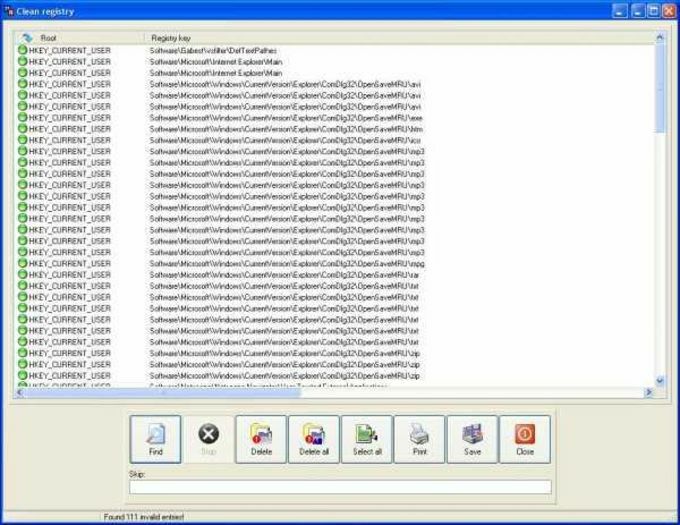 Easy Cleaner - the most efficient and safest PC cleaner.. I have used many cleaners over the last 20 years and have found that the larger, complex and seemingly sophisticated programs, which I once used to pay for, eventually slow down your PC. They seem to have a formidable footprint, which builds up. Many have ended up corrupting a registry file, as well. Conversely, for many many years I have continued to run the Easy Cleaner program. It has never let me down and not once have I found that it has damaged any system files in the registry or elsewhere. It has proved to me that it is the safest cleaner available. The other amazing thing about it is that in spite of its extraordinary simplicity, it finds more junk than most other cleaners and definitely finds the most invalid registry entries of all cleaners, yet is has such a light footprint. I love it for all of these reasons. The fact that it is fast, efficient and has a light footprint. It's ability to find more invalid registry entries than any other cleaner. It is also the safest cleaner and will not delete anything when in doubt. I have never read anywhere of a report where Easy Cleaner has damaged a system. What do you think about EasyCleaner? Do you recommend it? Why?